The growing need for data and information storage and the associated rise in power consumption has lead to innovative developments in the world of data centres. Historically, data centres were cooled using perimeter-based air handling units that cooled the entire data centre space. The mixing of cold supply air and hot return air meant data centres needed to be kept at a colder temperature than required, resulting in excessive power usage and cost. 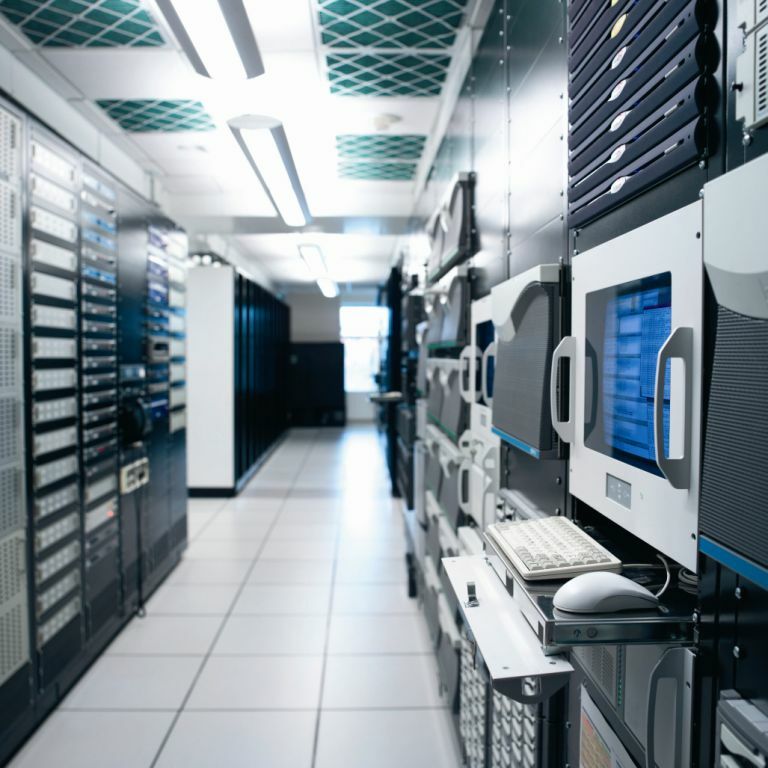 Today many data centres use containment systems to minimise the power consumed by their air conditioning system. Containment systems essentially ‘funnel’ the cold supply air (cold aisle containment) or warm return air (hot aisle containment) through the data centre. This prevents mixing the two air streams and results in a more efficient cooling system and reduced energy consumption. While these innovations lead to better cooling systems and more efficient data centres, they can have an impact on the performance of fire protection systems. Aisle containment creates compartments within the data centre rack space so fire protection specialists must consider the configuration of this compartmentation to ensure adequate coverage from any detection and suppression systems installed on site. Many data centres are fitted with high sensitivity smoke detection systems such as VESDA. However, in the event of a fire, if the containment system creates a barrier between smoke and the detection system then no alarm will be raised. The containment system may also obstruct the discharge of suppression systems such as Inergen which may prevent extinguishment of a fire. Extra smoke detectors, sprinklers or clean agent discharge nozzles may need to be added to help ensure optimal performance of the fire protection systems. The concentrated air streams resulting from containment systems produce higher air flow velocities and temperatures than traditional perimeter-based cooling. These parameters may exceed those permitted by the fire protection system standards or approvals. Your fire protection specialist must be aware of the normal operating conditions within your data centre in order to ensure the most suitable fire protection solution is selected, designed, installed and maintained. A fire within a data centre can result in injury to staff, significant downtime and business interruption costing millions of dollars, as well as damage or loss of mission critical assets. To increase efficiencies, data centre operators should keep up to date on relevant trends and technologies. They must work with their fire protection provider at the design stage to help ensure fire protection systems are tailored to suit their specific equipment set-up. Your fire protection specialist should also be involved in any proposed changes to the layout of the data centre to ensure ongoing compliance with applicable standards and the original intent of the system design. Innovative gaseous fire suppression systems such as Inergen are ideal for protecting mission critical facilities such as data centres. Inergen is dry, electrically non-conductive, leaves behind no residue and has no impact on the environment. If you’re managing a data centre, it would be worthwhile checking out Inergen and the other fire protection solutions that are particularly suitable for data centres. This entry was posted in Data centre protection and tagged compartmentation, data centre fire protection, Inergen by wormaldblog. Bookmark the permalink. Thanks for your interest Paul. The cost of the Inergen system is dependant on the size and purpose of the facility in which it is installed. Each Inergen system is customised and usually part of a broad fire protection solution so its hard to give a cost. If you’d like some more information, we’d be happy to discuss with you.